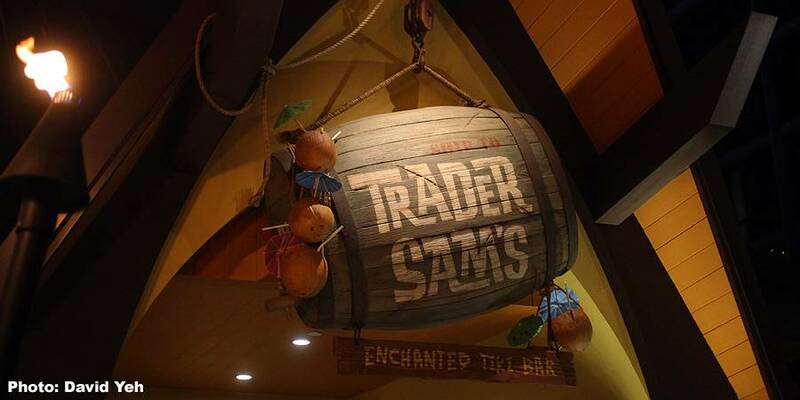 Trader Sam’s, the new “Enchanted Tiki Bar”, has been delighting guests at the Disneyland Hotel for months now and for good reason! Not only are the island style food and drink stellar, but there’s enough artifacts and decoration in the place to open up it’s own museum of unique artifacts and antiquities! 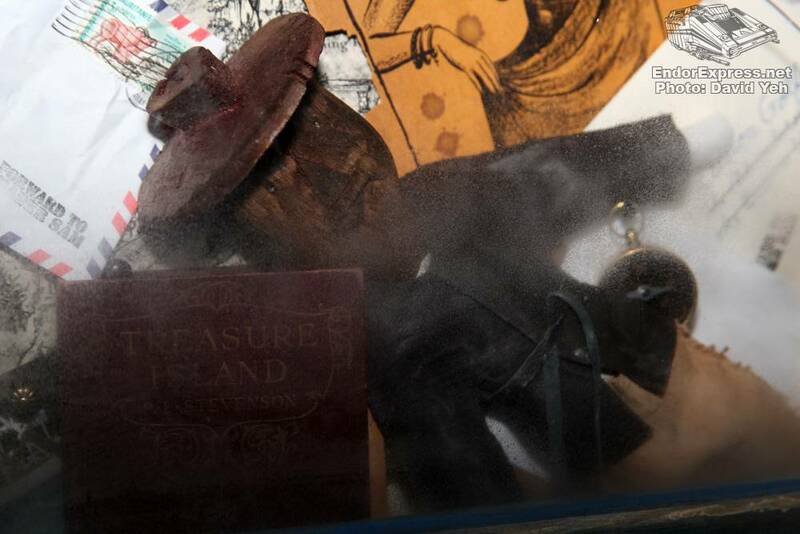 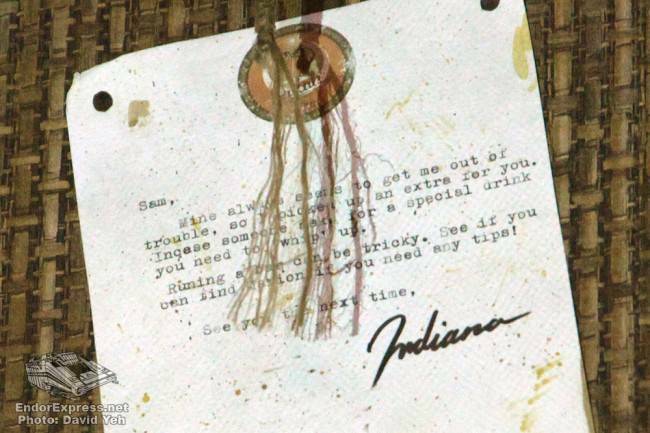 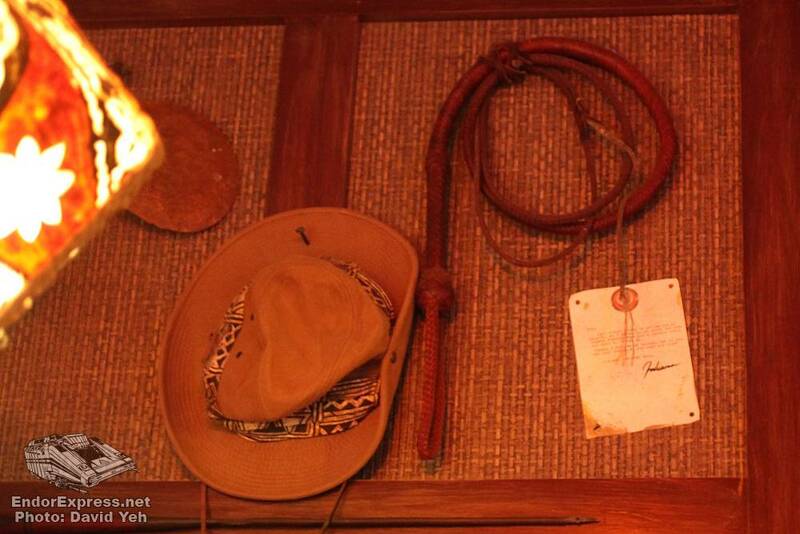 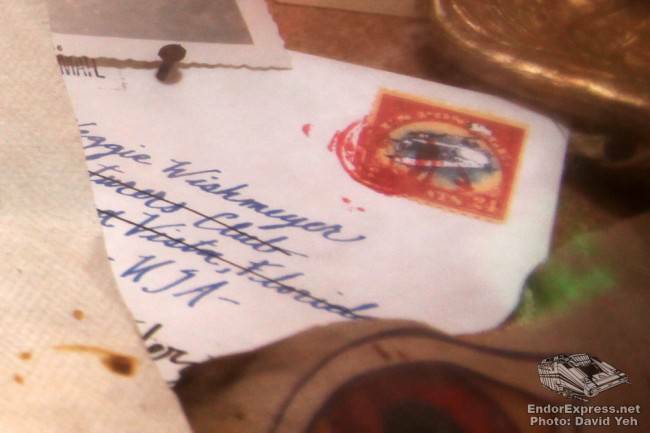 What strikes our fancy specifically, however are the close ties to the man in the hat himself, Indiana Jones. 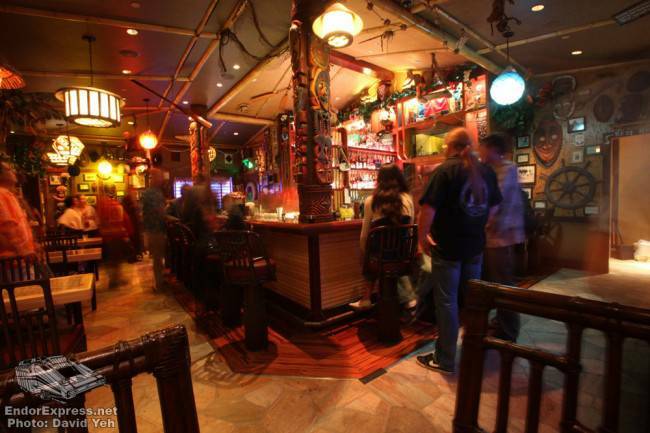 Trader Sam’s Enchanted Tiki Bar is what you’d get if you took the DNA of Walt Disney’s Enchanted Tiki Room, The Jungle Cruise, and The Adventurer’s Club (R.I.P.) 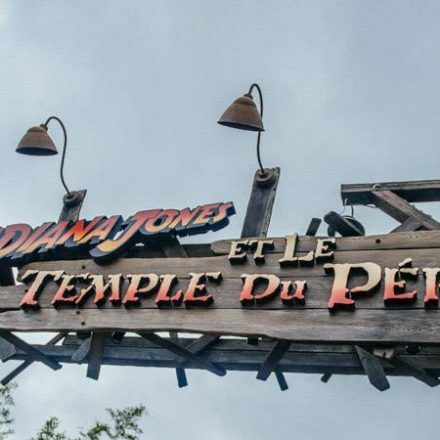 from Florida’s Pleasure Island but made it more compact and intimate. 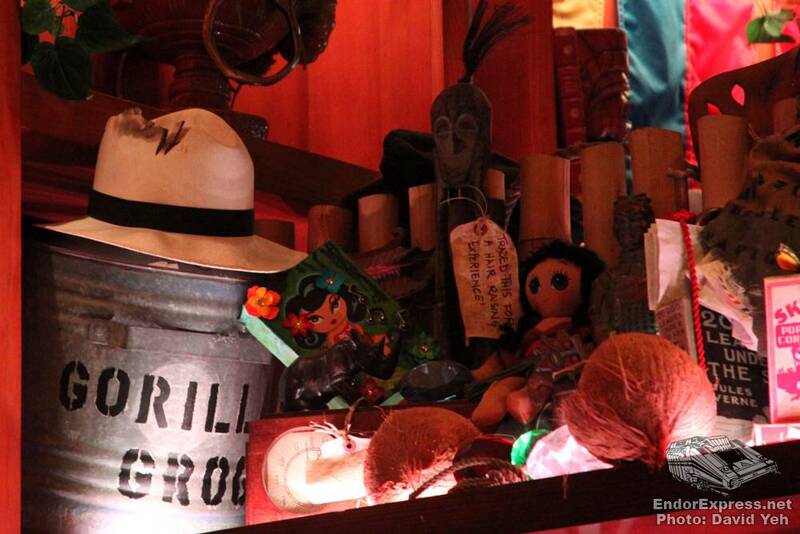 We see Trader Sam at the end of the Disneyland Jungle Cruise attraction but here we see the fruits of his trading obsession. 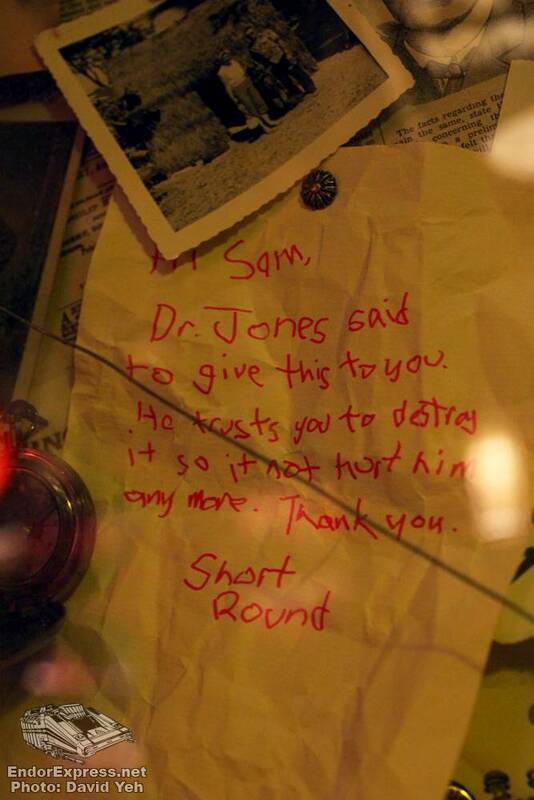 Mine always seems to get me out of trouble, so I picked up an extra for you. In case someone asks for a special drink you need to whip up. 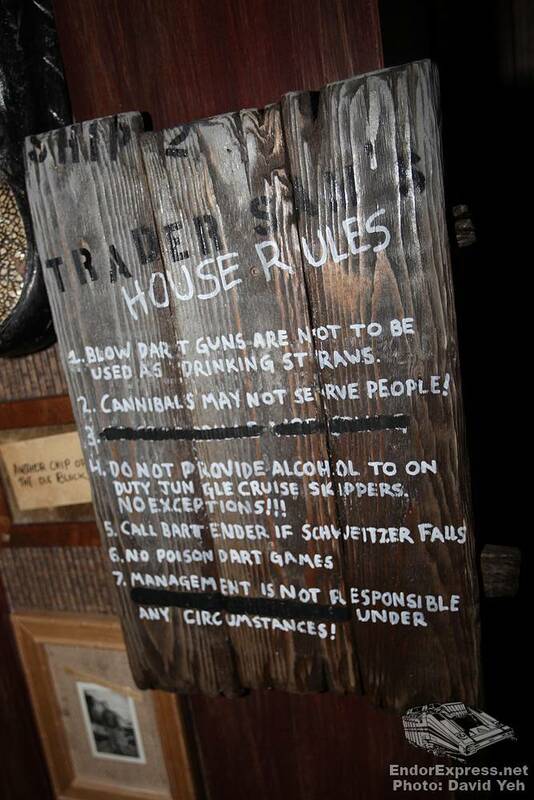 Running a bar can be tricky. See if you can find Marion if you need any tips! 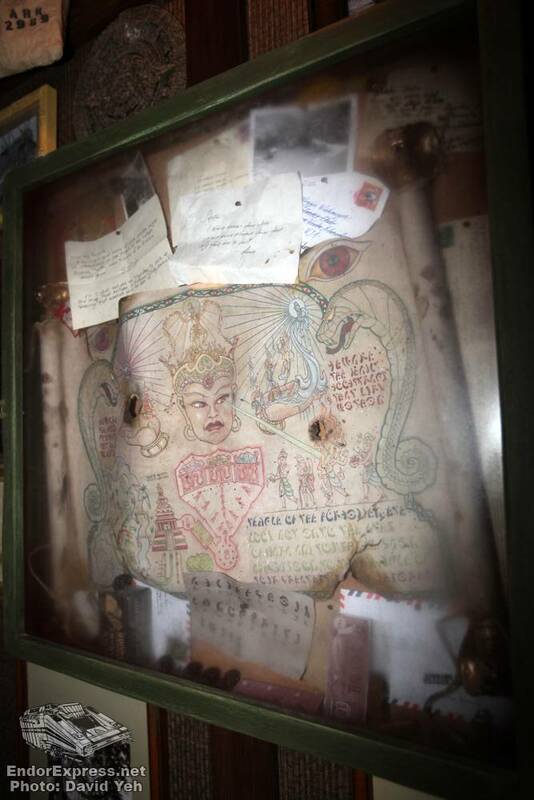 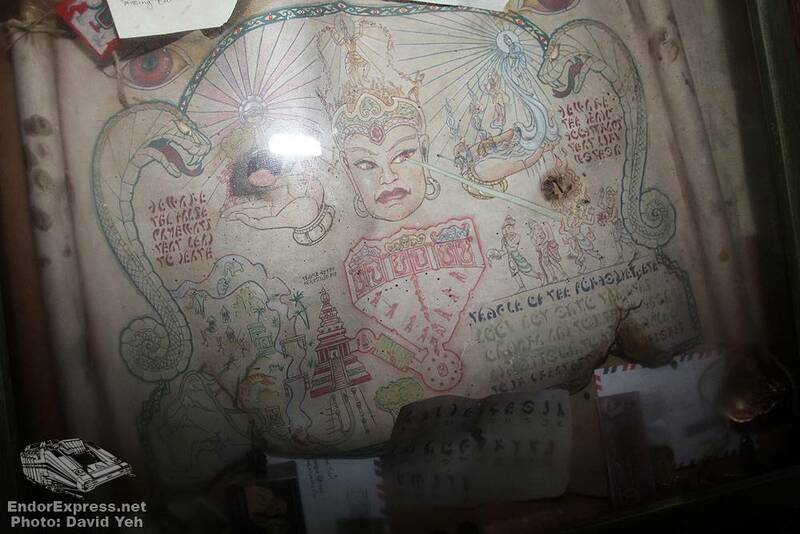 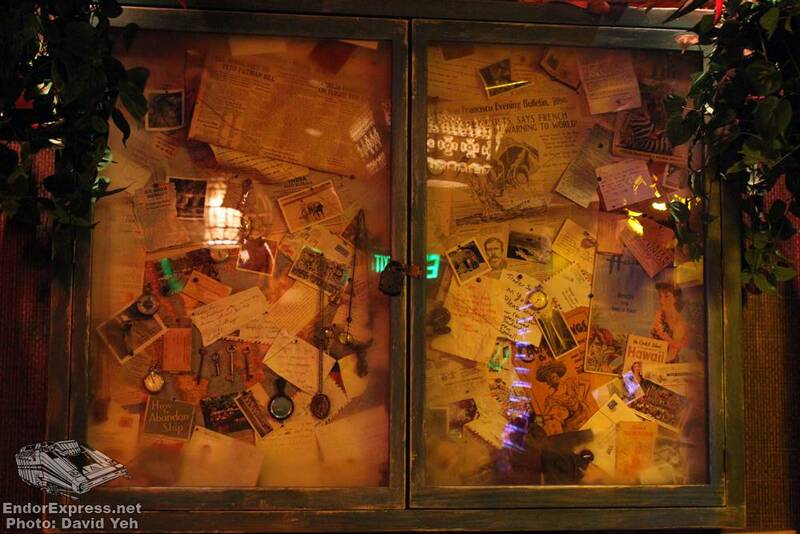 On another wall closer to the entrance is a display behind glass of some other Indiana Jones Adventure artifacts including a decoder of the Maraglyphics. 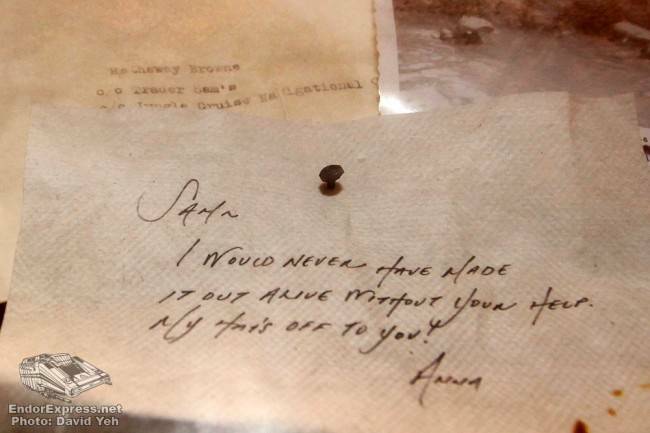 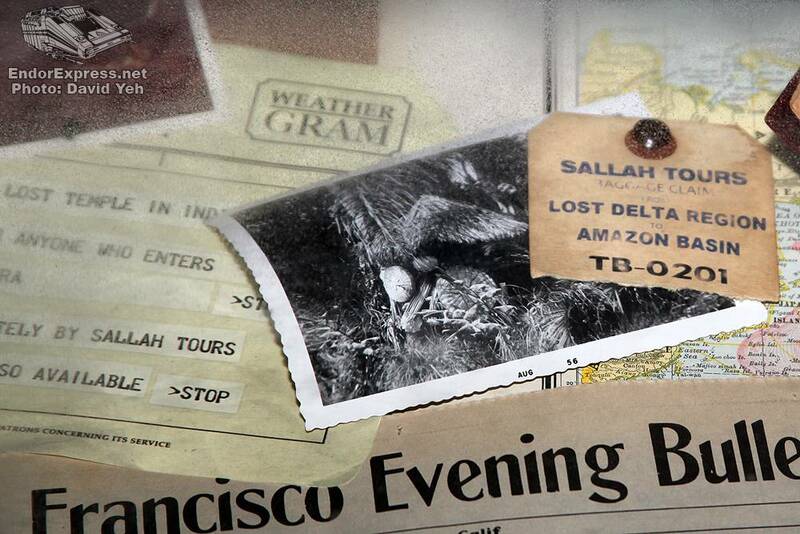 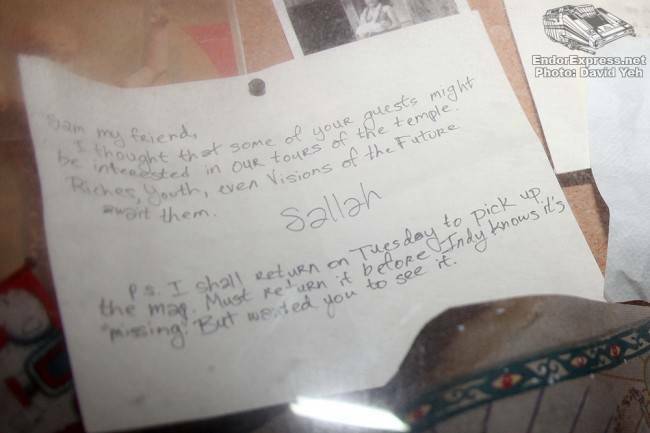 A note from Sallah to Sam insists that a trade took place between them as well! 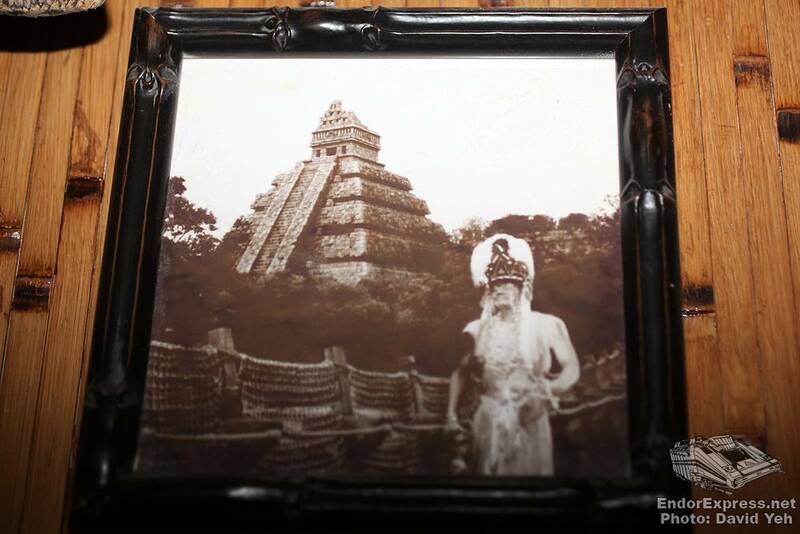 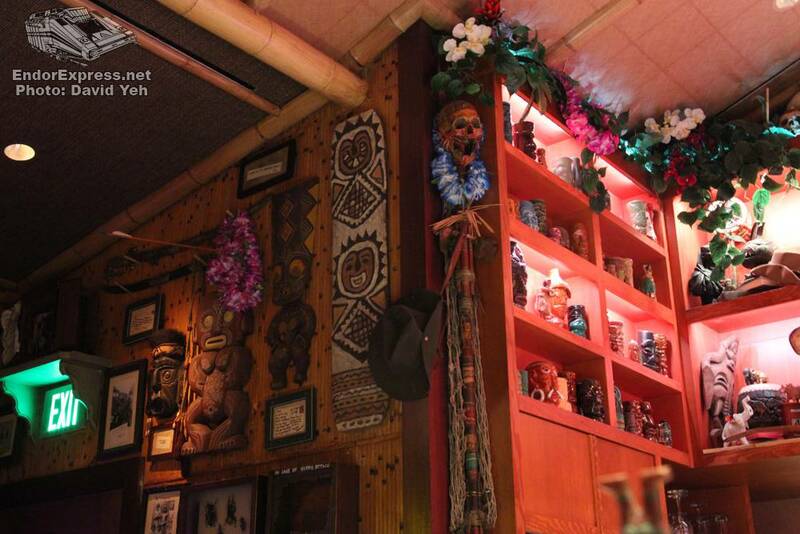 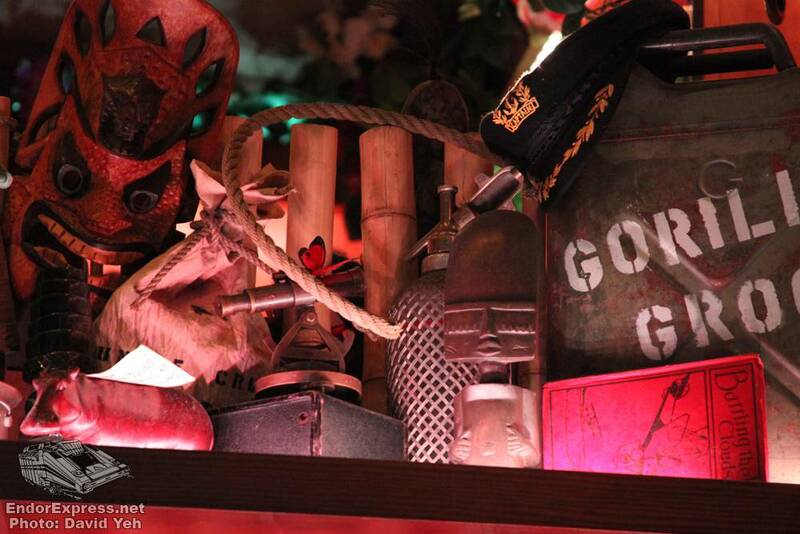 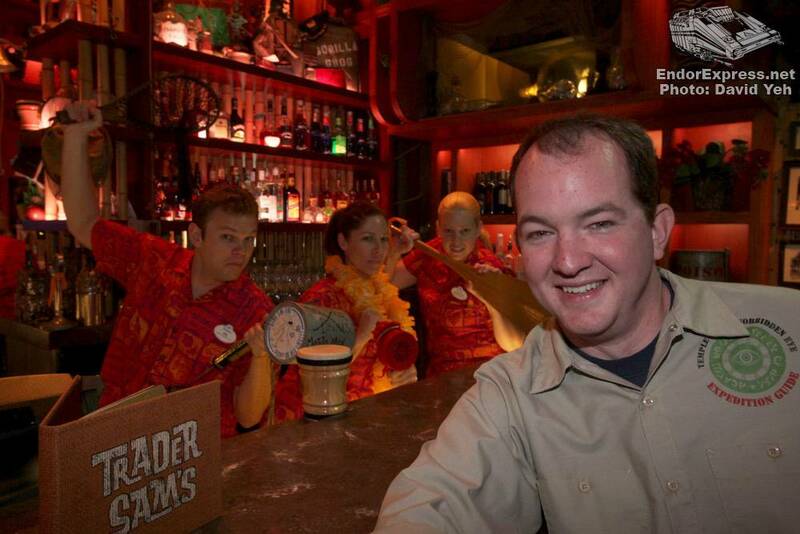 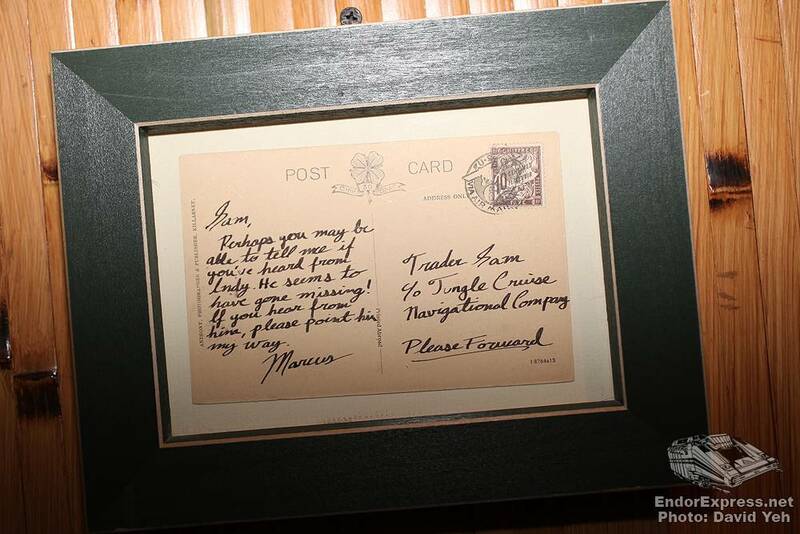 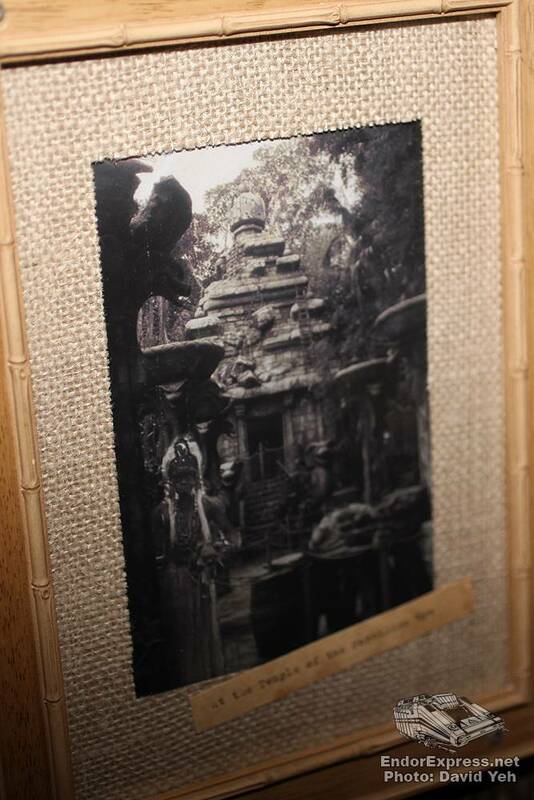 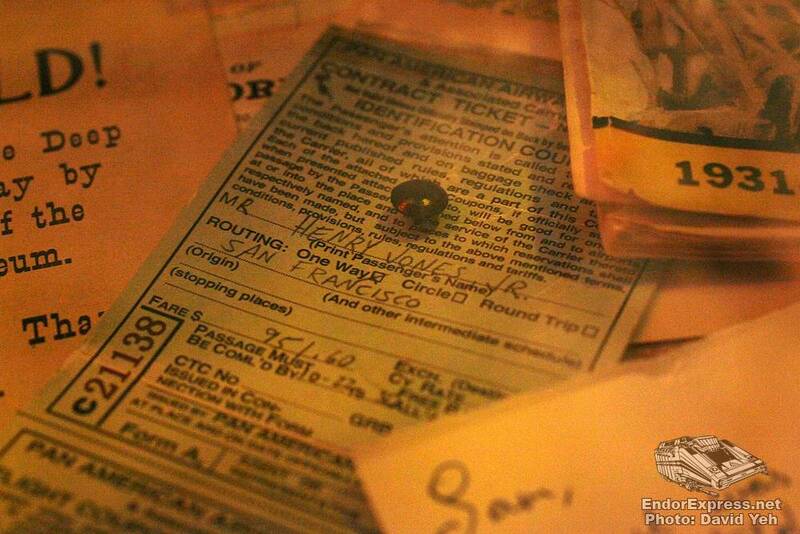 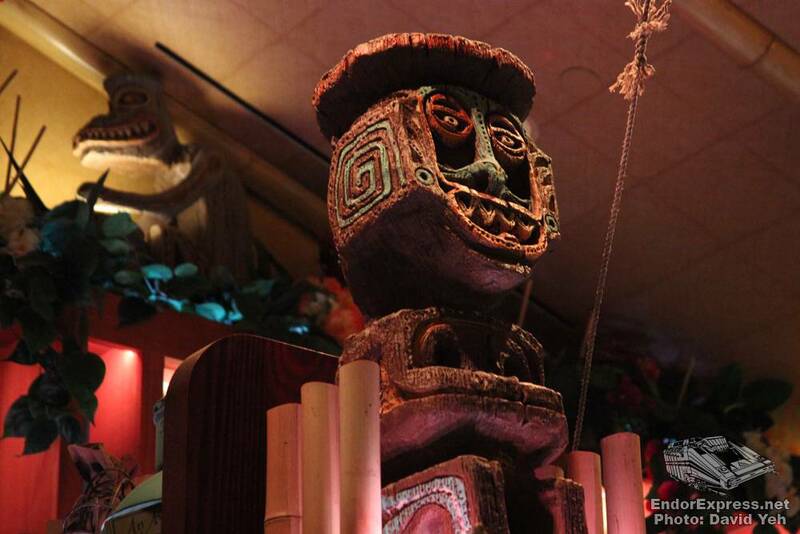 There is much more to see and drink at Trader Sam’s so we encourage a visit for your very self. 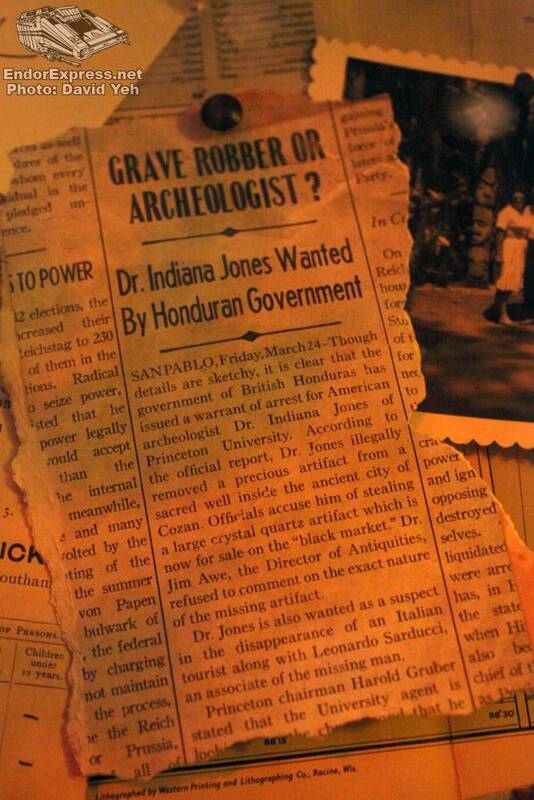 And if we happen to miss any more Indiana Jones references, please don’t hesitate to let us know!